Anna Mae Mayfield Estate Auction — Harritt Group, Inc.
One level 1980’s ranch home with fireplace in small established neighborhood near schools, shopping and expressway located just South of I-265 off Charlestown Road and Garretson Lane. Great opportunity to own! Also selling entire contents including furniture, household & collectibles. Charming 1,144 square foot 3 bedroom – 1.5 bath vinyl siding ranch with fireplace, covered rear deck, and storage shed on 66’ x 146’ lot. 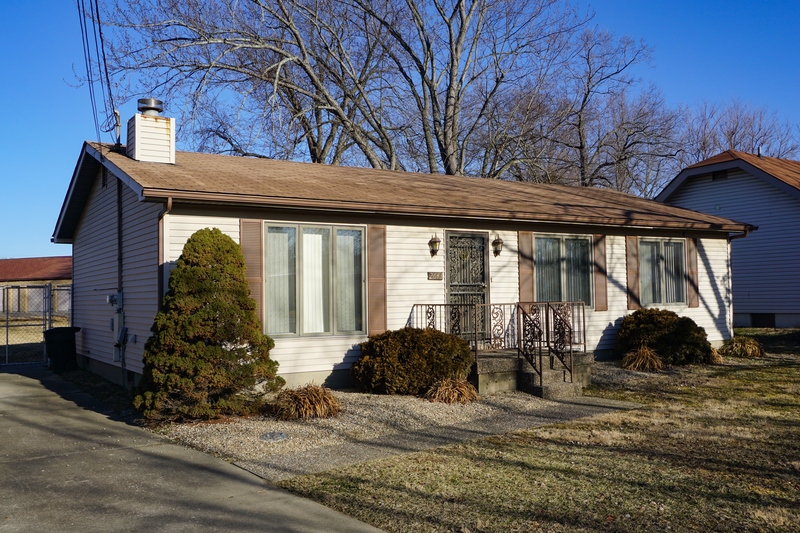 This one-level home was built in 1988 and features an eat-in kitchen with large windows overlooking spacious backyard with adjacent equipped laundry closet, family room with fireplace, 3 bedrooms including half bath off master, gas forced air heat and central air. The home is located between Slate Run Road and Charlestown Road just west of Slate Run School. Great potential for rental or homeowner, selling with below-market reserve! Large selection of French Provincial furniture including sofa, (3) armchairs, two-piece end table set, marble top coffee and end tables, lamp table, multiple curio cabinets, 3-piece bedroom set with dresser, chest of drawers and vanity table, writers desk china cabinet, dining room table & large china hutch, other furniture includes a full size iron bed, liquor cart, jewelry cabinet, sofa, lamp tables and a large free standing globe. Large selection of glass figurines, ornate electric lamps, framed prints, vintage records, 25+ piano music boxes, kitchenware, dishes, glassware, household goods and more. I-265 to Charlestown Road Exit #4. South 1.7 miles to left on Garretson Lane. 2/10 mile to right on Alice Avenue just West of Slate Run Road.